Food can only be ordered once your whole table has arrived. Red Rooster works hard to uphold licencing objectives and promote sensible drinking. One bottomless cocktail can be ordered at a time and we will not serve any individual displaying drunken behaviour. Bad Brunch is a high volume event with a lot of food going out together. Sometimes there may be a little wait on courses – Bear with us, it will be worth it! Anti social behaviour of any kind will not be tolerated. Red Rooster charge £3ph cake-age! If you’re bringing a celebratory cake we will add a £3 per head charge to the table. If we know ahead of time we will try our best to include a sparkler! Alternatively indulge in our £5 optional dessert menu. All birthday celebrants (a week either side of the event) are entitled to a free shot and free (party-only) entry. Our DJ’s blare Hip Hop, R&B and Bashment throughout the day and our soulful host adds a live feel singing sweet melodies. There’s added entertainment in the form of free caricatures, close-up magic and karaoke. Oh and did we forget to mention our soul food brunch and bottomless rum punch. 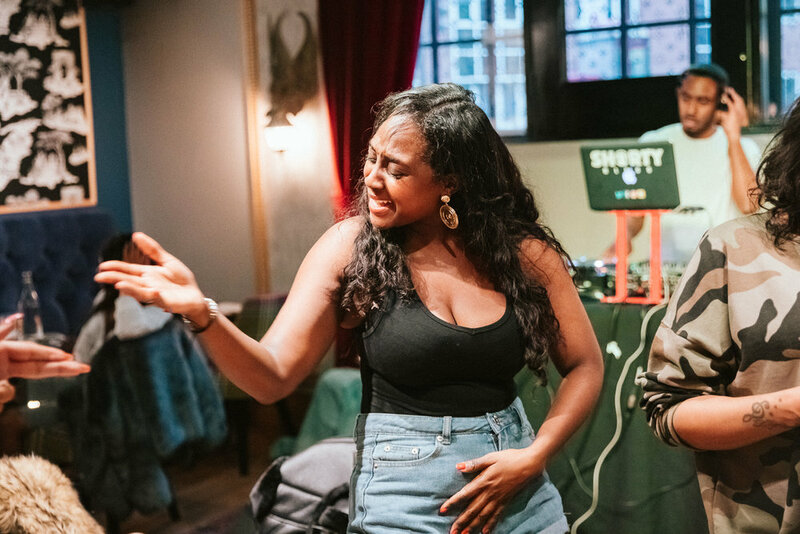 Bad Brunch is all about good music, good people and good vibes, but we throw in some saucy soulfood and our host adds a little extra soul, jumping on the mic to harmonise over the DJ's jams. If stuffing your mouth doesn't do it, our close-up magician makes sure to leave you speechless and our caricaturist offers a hand drawn picture to take away as a permanent memory. Once the vibes popping it's time to try your turn on the mic for a chance to win a bottle of Prosecco in our karaoke competition. Once the food is settled, it's time to mingle and move as the DJ and host continue to drop jams...and that's Bad Brunch!